PC's Blog: UK COVER OF HIDDEN! Pretty Cover! I can't wait so read this book. But there's so much time, before it is here in Germany. It's quite bright compared to the other UK ones?? AAWWW!!! I actually love it alot more than the US version! It's so freeing but strong still and oh so beautiful! I can't wait to read it! Hi Pc, the last thing I read recently put Ger, and I have the same question. Neferet appear much in the book, or as little as in burned or tempted? I imagine that much because it is very important in this book. If you answer me I'd appreciate it forever. Your books are the best! why exactly does the uk have different covers from the usa? OMG!!! That looks sooooo beautiful!!! Cool front cover can't wait till I read the book! Its going to be great! Sandra - Neferet plays a major role in HIDDEN, but that's as much as I can say about it. Iz - the US cover and the UK covers are different because they are different publishers. I'm in 30+ different countries, all with different publishers who choose their own covers. WOW! It's so strong and beautiful! I can't decide which version I like more. ooooh! very pretty! so excited! Hi P. C.! I went to a philbrook movie on the lawn the other day and they announced that you were the new sponsor. That's awesome!! 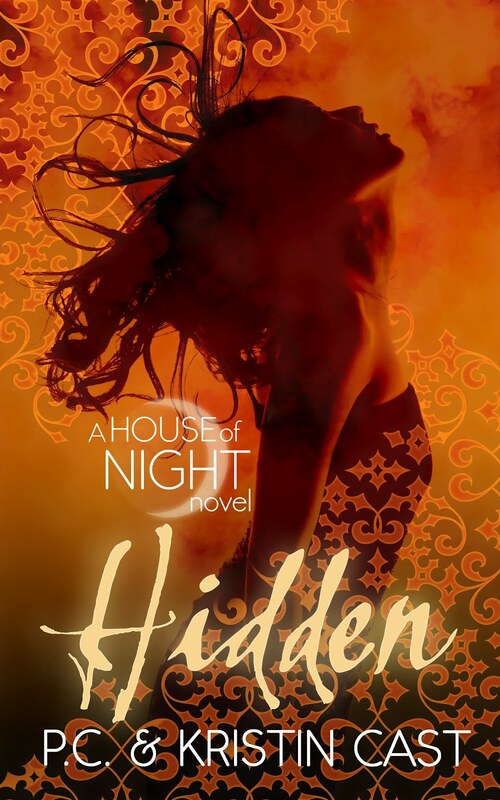 It got me thinking about the house of night series becoming a movie which I'm really excited about. Is there any movie news you can give us?? Pleeeease? Oooh! Lauren! Which one did you see? I've been at all of them except the one last Friday. I'll be there Friday for the final movie: SHAKESPEARE IN LOVE. And there will be a surprise that night for viewers, too! I've also sponsored Shakespeare on the Grounds in August (yep, I'll be there, too, even though it's a gazillion degrees here!). I heart me some Philbrook. No new movie news. My producer is focusing on screenplay and director right now. Don't worry, though, it's going to happen. He's just not rushing, and is going to do an awesome job. I dont understand why they are different for each country?? Regardless its beautiful! Finally I found this blog !!!!! I'm Thai reader who love this series! (So, sorry for my bad English). I have just finished Destined. I'm surprise about Twin but so glad for Kalona ! I think I can see young boy when I see him, just like his son. Finally , I just hope to send this song for everyone in House of night !! ohhh god this is beautiful book cover. wau tha beautiful! why in our country never do such a beautiful covers like that. But american cover is beautiful, too! I like the UK cover of HIDDEN can't wait to see what USA's cover will be for HIDDEN and the other books of the series. I think that is honestly better than the US book cover. Not that the US one isn't well done, it definitely fits with all the others. However, that is stunning!